You can be sure of support and encouragement from a great team of teachers – experienced, appropriately-qualified and committed to your success. 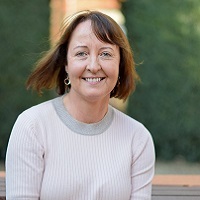 Fiona Cornell is a teacher of English and has taught at St Clare’s since 2016. She has been teaching English for seven years and is CELTA qualified. Before that, she worked in publishing and educational marketing; writing and editing for a food magazine, project managing the editorial of text books and marketing the Oxford and Cambridge exam board to schools. She has graduated with a BA Hons in English Literature and has a post graduate diploma in publishing. She grew up in Oxford but has travelled a lot, and has lived in Sydney and in London. After she got married, she came back to Oxford with her husband, and now has two teenage boys and Amber, the dog. Denise Hopgood has been teaching EFL for almost ten years, including six years’ experience in Barcelona, Spain. She has taught a range of courses since starting at St. Clare’s in 2014 including, Summer English for teenagers, the University Foundation Course, English plus Academic Subjects and Teacher Training. With a first degree in Economics and Politics from the University of Bath, Denise brings with her experience from a previous career in Central Government including a policy role at Her Majesty’s Treasury and project management roles in two of the UK’s economic regulators. 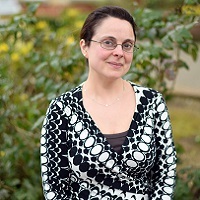 Denise holds a PGCE in International Education from the University of Nottingham and has completed the Cambridge CELTA and DELTA English language teaching qualifications. Denise is currently teaching and developing materials for St. Clare’s new Leadership Course. In her free time, you can find Denise travelling and spending as much time as possible with her young daughter. Helen has a been an English language teacher since 1985, when she obtained the Cert TEFLA qualification, and has worked exclusively in fully accredited language schools in this country ever since, beginning her teaching career in Clifton, Bristol, where she taught for 10 years. Helen graduated from Exeter University in 1980 with an honours degree in German with subsidiary French.The following year she obtained a Postgraduate Diploma, Vocational Techniques for Career Linguists, from the University of Kent at Canterbury and worked as a translator of mainly technical and business material for a subsequent period. Realising that the opportunity for communication and stimulation offered by the classroom was preferable to a life surrounded by technical dictionaries, it was at this point that Helen decided to retrain as a TEFL teacher. Helen later went on to maximise her TEFL qualifications by successfully completing the Dip TEFLA in 1997 and, after many years teaching in a small language school just outside Oxford, she joined the staff of St Clare’s in September 2013. Outside the classroom Helen takes a particularly keen interest in the observation and preservation of wildlife and the countryside. Jane Martin is a teacher of English Language and Business Studies and has been teaching at St Clare’s since July 2016. Prior to that, she spent ten years in the state secondary sector teaching Modern Foreign Languages, and twelve years in academic publishing in the international sales and marketing departments, travelling frequently to visit customers in Europe for a number of years. Jane has a CELTA and a PGCE (Oxford Brookes University), MA International History (London School of Economics), and a BA French and Italian (University of Sussex, including a year abroad studying at the University of Montpellier and the University of Bologna).Jane enjoys every opportunity to travel and to experience different cultures and learn new languages. Her love of travel was inspired by her parents who met onboard ship working in the P&O, so school holidays were often spent at sea with the highlight being regular trips through the Suez Canal. She is married to an Irishman from Dublin and has two sons (Adam and Luke) and two cats (Candy and Floss). John Baron is a teacher of English. He has been teaching for over ten years and started at St Clare’s in 2015 where he has already taught on every English-related course in the college as well as leading teacher development sessions. He has taught at a number of schools in this country as well as in Ireland and Italy. He has a Law degree from the University of Sheffield where he later also taught on the Foundation course. John is originally from Manchester and has spent the last ten years reminding people that there are two football teams in Manchester (he supports Manchester City). Before becoming a teacher he worked in the public transport sector and later for a major oil company. In his younger days, he played Cricket and Lacrosse but now prefers slightly less athletic pursuits in his spare time, particularly amateur dramatics. He is currently rehearsing for a production of Shakespeare’s Love’s Labour’s Lost to be performed in Trinity College gardens in the summer following on from a very successful run of Twelfth Night last year. Julia has been teaching EFL for over 16 years, working in schools in Uganda, Australia, China and Austria, as well as the UK. She currently teaches on the University Foundation Course and teacher training programmes at St Clare’s. At the beginning of her career, Julia worked as a volunteer in rural Uganda where she taught pupils from underprivileged backgrounds. She later went on to become Head of Foreign Teachers at the renowned Sun Yat Sen Memorial Middle School in China, where her responsibilities included designing and administering bespoke teacher training sessions. She gained her Trinity Diploma in 2006 and became a Trinity approved Teacher Trainer in 2012. Furthermore, she has held positions as EFL Programme Co-ordinator and Academic Manager at busy and prestigious schools. She has been an author and editor for the ELT Division of Oxford University Press since 2012. During this time, her work has included writing for their online testing system and the recent ‘Navigate’ course book, as well as preparing CEFR mapping documents for publications such as ‘New Headway’. Julia loves travelling to new countries to learn about their culture and language. She also has a keen appreciation of the beauty of nature and enjoys spending time outdoors. 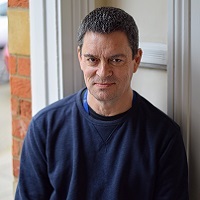 Keith Ibsen is an English language teacher and has been teaching at St Clare’s since 2014. He studied Modern Languages at the University of Westminster, which included a year studying in Mexico. As well as teaching he has worked as a restaurant manager, waiter, barman and lifeguard. After university he completed his TEFL qualification in 1996 and taught in Spain and Japan before returning to his hometown of Oxford. Since arriving at St Clare’s he has been working towards his DELTA certification. He is currently teaching on the University Foundation course and English language courses. He is a keen traveller who has spent time in several countries over five continents. He is also interested in accents and languages, and as well as English he speaks Spanish and Japanese. In his spare time he plays too many board games, watches too many movies and drinks too much coffee. 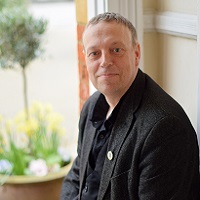 Richard Walton has been the Director of Studies for English Language Courses at St Clare’s since 1996. 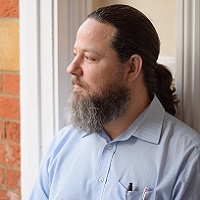 He previously worked in both the private and state (Higher Education) sectors in Italy (Verona, Trento, Riva del Garda, Bologna), Spain (Lugo, Córdoba) and the UK (Bristol, Worthing) as an English language teacher, teacher-trainer, oral examiner for the Cambridge exams and course book writer. Richard has a degree in Spanish and French from the University of Exeter and a PGCE in TES/FL from Bangor University. 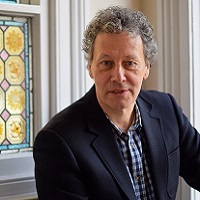 He has written seven commercially published ELT books including Correction (LTP), Initiative (CUP), and two Cambridge exams grammar practice books (both Longman). His most recent books Think English and Venture (both OUP) are aimed at the Italian secondary school market. He also creates content for St Clare’s courses, for example the new Leadership Course and bespoke teacher training courses. Richard will be attending this year’s IATEFL Conference to gauge developments in Content and Language Integrated Learning and English Medium Instruction. He lives in Oxford with his Italian wife and, in challenging times for millennials, their two grown-up sons. Outside work, he enjoys attempting to keep fit, appreciating good art, films and wine, and travelling to culturally interesting places.